But the Saffers are not the only cricketers competing for a hard-fought advantage. The Aussies will strive for an early breakthrough. It’s the nature of the game that one wicket can lead to a second and a third. Every time a team bats, their innings is fragile. By tea, one team or the other is likely to have a decisive advantage. The session about to commence may decide not just the Test, but the entire series. It’s this kind of situation which a cricket fan lives for. With Australia bowling, every wicket-less ball is a frustration; every push through the in-field and every scampered single, a set-back. Every boundary a cricket stump through the heart! In these circumstances, every ball counts. 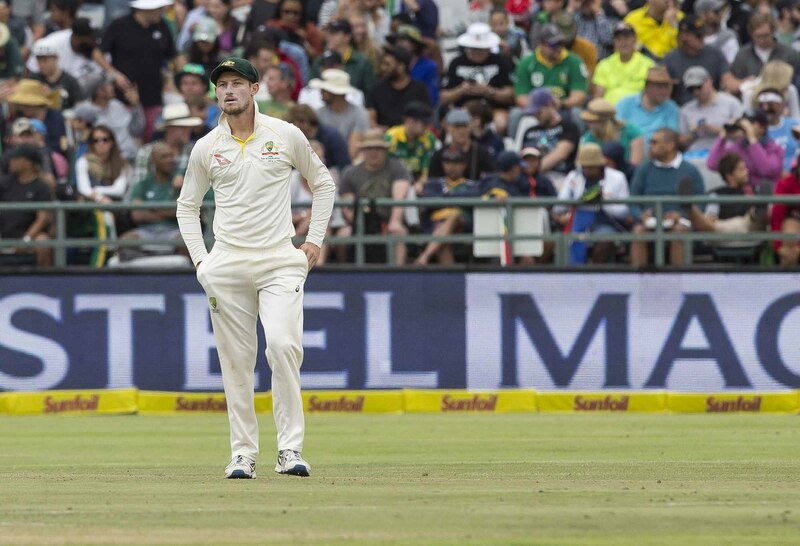 The fact that, in these tantalising circumstances, members of the Australian cricket team evidently decided to cheat – rather than compete with their best bowling against South Africa’s best batting – will stay with me forever. We weren’t supposed to stoop to such behaviour. Watching on a Saturday night in Sydney, I was avidly attuned to every ball hurled down and every vexing run added to the scoreboard, but my passion for the game was smashed for six when images on my television screen demonstrated that a representative of my national team was clearly tampering with the ball. What’s more, at first glance, the coach and other players appeared to be co-conspirators. 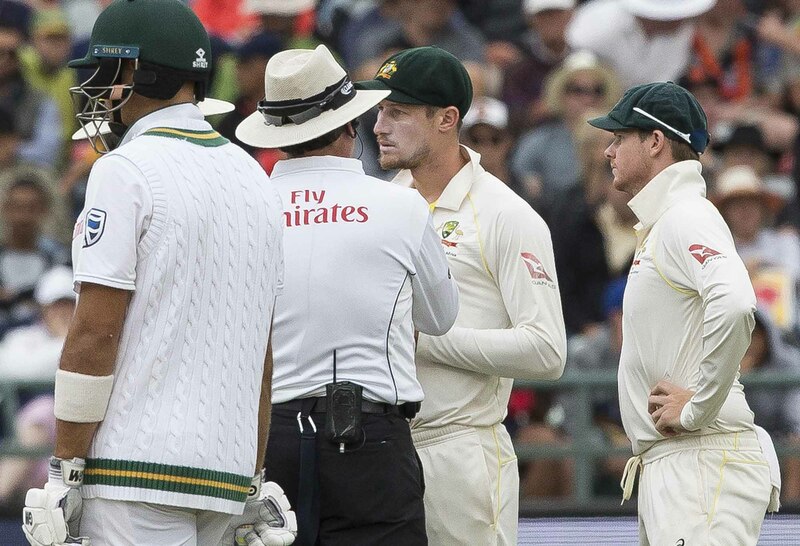 And by engaging in this disgraceful conduct, they robbed me – and all the other devoted Australian cricket fans – of what should have been an enthralling session of Test cricket; the kind which feeds our passion for the game. The rules — Clause 41.3.2 of the Laws of Cricket provides: “It is an offence for any player to take any action which changes the condition of the ball.” This statement appears reasonably straight forward, yet I can’t switch off a legal mind which has matured across 25 years of practice. What does “the condition of the ball” actually mean? And what does “take any action” encompass? Is a player who tries to change the condition of the ball, but fails, still guilty of an offence? What if the player succeeds in changing the physical appearance of the ball, but the change makes no impact on how the ball behaves? I assume the drafter intended that the offence in clause 41.3.2 was committed when the normal properties of the ball are altered in such a way that the bowler obtains an unfair advantage. If not, then who cares if the condition of the sacred ball is altered? When interpreting statutes, the use of the word “shall” – as opposed to “may” – traditionally implies a mandatory requirement. The adjudicators affected by the provision (in this case, “the umpires”) have no choice but to apply the words which follow, to the letter. So, clause 41.3.2 deems any unauthorised change to the ball to be an unfair change. 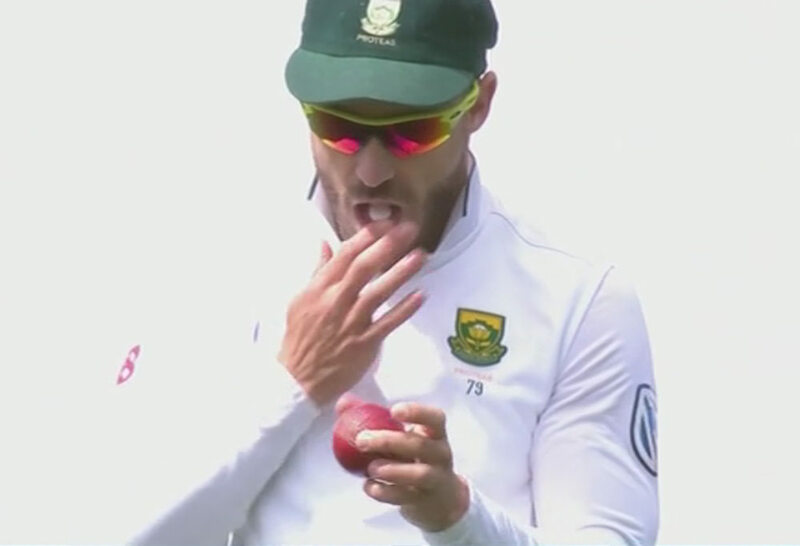 The result is that a player is guilty of ball tampering even when they fail to achieve any tangible change in the behaviour of the ball. The inept, greenhorn ball tamperer is just as guilty as the highly effective, seasoned ball tampering exponent. A number of observations spring, like a vicious top-sinner, to my legally trained mind. Firstly, it strikes me that sub-clauses 41.3.2.2 and 41.3.2.3 are intended to allow the fielding side to take reasonable steps to avoid disadvantage to them; rather than to prevent the bowling team obtaining an unfair advantage over the batsman. Who wants to bowl with a damp ball or one sullied by mud? I’m bemused, however, by the contrasting way the bowling team can deal with a muddy ball and a wet ball. Evidently, removing mud from a ball provides the fielding team with an ideal opportunity to take other odious steps – such as dragging a long fingernail across the rough side of the ball – to unfairly change the condition of the projectile. As such, the umpires are required to supervise the process by, presumably, standing over the fielder and providing guidance – with sage wisdom and a crooked finger – on what they can, and cannot, do to remove that horrible, yucky mud. Yet, when the ball is wet, the fielders can huddle around and conceal what they are doing to the ball, under the protection of a piece of cloth, provided said cloth enjoys the umpires’ pre-approval. There is no requirement in sub-clause 41.3.2.3 for the umpires to supervise the drying process other than to inspect the proposed cloth, to ensure that it’s not actually sandpaper, and giving their okay to proceed. Secondly, unlike sub-clauses 41.3.2.2 and 41.3.2.3, sub-clause 41.3.2.1 is designed to place a limit on how far a bowler can go – beyond years of dedicated training and natural ability – to obtain an advantage over the batsman. Provided he doesn’t vigorously rub the cricket ball up and down on his clothing for hours on end – and provided no artificial substance is employed – a fielder is permitted to polish the ball to his little heart’s content. As every school-aged cricketer knows, if you polish one side of the ball, that side should move at greater velocity through the air, causing the ball to swing away from the shiny side. The Laws of Cricket recognise that this is an accepted technique in the balls’ eternal battle against the bat. The prohibition in sub-clause 41.3.2.1 against employing an artificial substance to assist in the, otherwise accepted, strategy of ball shining is critical. So applying saliva from your mouth or sweat from your armpit is okay – because they are natural substances – but the laws of the game are breached when you add mints to your mouth, balm to your lips or gel to your hair and use those substances to give the ball an extra sheen. That said, I am not the first person – by a long shot (over the mid-off boundary) – to ask rhetorically what the moral difference is between shining one side of the ball and roughing up the other. If, at some stage in cricket’s adolescent years, a decision was made by some bearded men that cricket would be a better spectacle if the bowler was permitted to achieve more prodigious swing by polishing one side of the ball, then why is roughing up the other side so shameful? Whether through shining or roughening, the objective is the same; to make the ball swing in the air to deceive the batsman. Isn’t a more consistent rule warranted? You can’t come out onto the field with either a tube of lip balm, to shine the ball, or a beer bottle cap, to roughen the ball; but if you can either shine or roughen through natural means, then go your hardest. The battle between bat and ball is at its most enthralling when every ball carries with it the genuine threat of a wicket. And when skilled batting is required to both preserve the wicket and score runs. Conversely, cricket is at its most dreary – yes, I admit that cricket can sometimes be boring – when a batsman can play every stroke safe in the knowledge that the ball is unlikely to either swing in the air or deviate off the pitch. I believe that if shining the ball is within the Spirit of Cricket, then so is roughing the ball, provided that artificial substances (or implements) are not used in either case. I think we can all agree that the events on 25 March 2018 at Cape Town were an abomination and could never be condoned.To bring a piece of sandpaper onto the field with a pre-conceived plan to roughen the ball is appalling. I will never forget the betrayal. At the other end of the ball tampering spectrum, I find it hard to work myself up into a state of moral outrage at the practice of returning the ball to the wicket-keeper on the bounce or of the wicket-keeper scraping the dimpled inside of his gloves across the surface of the ball. I’m not even sure that I care that much about a fieldsman dragging the ball across the concrete when he retrieves it from the gutter. I return to the point I’ve already made: what is the moral difference between these practices and the accepted practice of rubbing the ball against clothing to achieve a shine? During the prolonged media-storm following the Cape Town controversy, I scoffed at Mike Atherton when he argued that his misdemeanour of putting dirt in his pocket and applying it to the ball had a “different smell” to it than using sandpaper. I’m happy to accept that it’s a grey area – and reasonable minds may genuinely differ – but Mr Atherton’s hands and the dirt are both natural substances. If the line is drawn at artificial substances (or implements), there may, indeed, be a difference between what Atherton did in 1994 and what the Australians did in 2018.Is there really an ethical distinction between applying sweat from your armpit to shine a ball and applying dirt from the ground to roughen a ball if both activities are aimed at causing the ball to swing? And what about biting? Shahid Afridi infamously gouged into the ball with his teeth during a T20 International in 2010. The umpires were moved to change the ball. Applying a rule that all is fair in love, war and changing the condition of a cricket ball – unless an artificial substance or implement is utilised – then if you can achieve an advantage by biting the ball then go for it. The same applies to fingernails. Again, I invite a compelling argument to distinguish this activity – other than the human mind’s preference for beauty over ugliness – from polishing the ball on your trousers. The members of the Australian cricket team involved in the ball tampering scandal in South Africa conceived, planned and executed an act which they knew was against the Laws of Cricket. If they contemplated the Spirit of Cricket, then they gave it no weight. While I have advanced an argument that both the Laws and the Spirit of Cricket might accommodate some roughing of the ball, through natural means, there is no possible argument that that excuses applying sandpaper, of any grade, to the ball. Yet from the calamity emerged something I found profoundly inspiring. The Australian public’s rejection of their team’s behaviour was universal and immediate. The clamorous chorus of strident disapproval was staggering. It demonstrated to me that cricket fans are the true custodians of the values of the game. 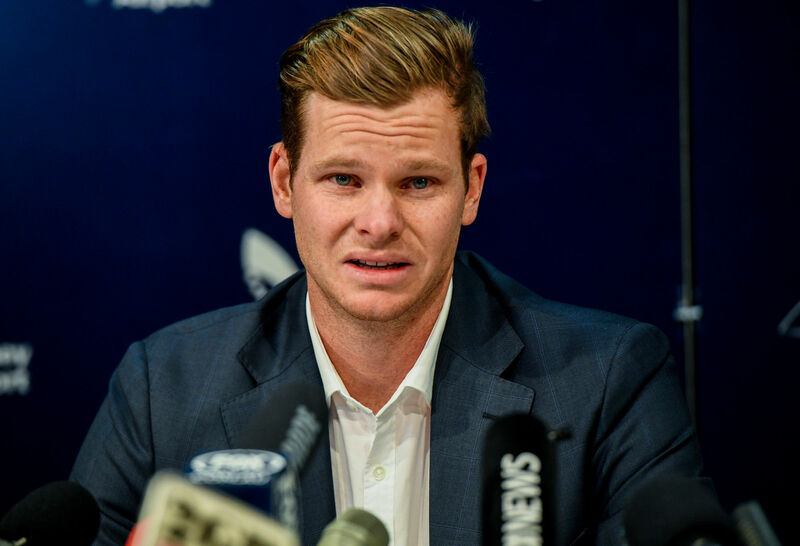 Whilst Smith and his team may have thought Australian cricket supporters would stomach a win-at-all-costs approach which extended to outright cheating, they were wrong. They couldn’t have been more wrong. And it was this revelation that gives me hope that we are witnessing a new dawn.